The presidency of the various juries of the next edition of the PanAfrican Film Festival of Ouagadougou (Fespaco) will be entirely--or almost--comprised of women. "A sovereign message that we are sending to the entire international community" declares Michel Ouédraogo, the Secretary General of the Festival. Euzhan Palcy (Martinique) will preside over the feature film jury; Jackie Motsepe (South Africa) the TV & digital video jury; Wanjiru Kinyanjui (Kenya) short fiction film & student film jury; Osvalde Lewat-Hallade (Cameroon) the documentary jury, and Beti Ellerson (USA) the diaspora jury. The exception to the women-led juries is for the African Federation of Film Critics Award, presided by Baba Diop (Senegal). 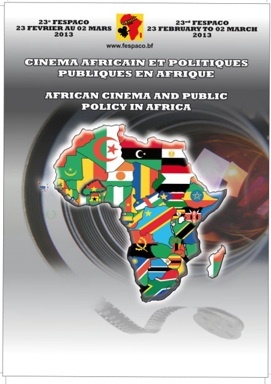 The 23rd "high mass" of the 7th African art will be held in Ouagadougou from 23 February to 2 March under the theme "African Cinema and Public Policy in Africa". Less than two months before the event, the organisers unveiled the programme on Friday 4 January in Gabon, the guest country of honour of this edition. After Libreville, the festival staff travels to Brussels and then to Paris in order to encourage both filmmakers and film enthusiasts to come to support African cinema. Allocated in seven sections, the 101 films selected from the 755 submissions will bring delight to the film-goers.